There’s a lot to talk about on the blog this week. I spent much of the past week assisting with some much-needed server improvements (and neglecting the blog accordingly) so I’ll be getting caught up by posting several articles this week (I’m aiming for three more posts in the next week, but we’ll see how that goes…). Today, I’m going to speak rather generally about a bunch of different topics, and I’ll follow this post up with two other more in-depth postings later this week. 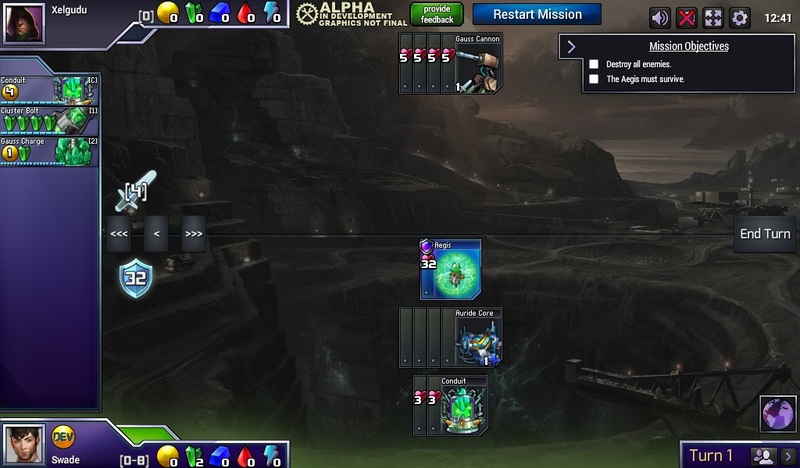 You may have noticed that two new single-player puzzle missions were added to the Prismata alpha last week—Lucina’s Rage and Cluster Conundrum. For the time being, these can be found in the “Tier 4a” Master Challenges in Combat Training. The Cluster Conundrum puzzle mission, available now! This puzzle was the inspiration behind the recent Cluster Skirmish event from earlier this month.